The Massachusetts Supreme Judicial Court issued an important decision on consumer protection demand letters last week, that is of particular importance to Massachusetts foreclosure defense. The case, Moronta v. Nationstar Mortgage LLC, is an interpretation of the consumer protection demand letters that are required for Massachusetts’s Consumer Protection Law (a full copy of the decision is below). Massachusetts’s Consumer Protection Law (commonly known as “Chapter 93A”) prohibits “unfair and deceptive” practices by businesses. The scope of this law is broad, and has been used successfully for a variety of consumer protection claims. For foreclosure defense, Chapter 93A claims have been effective for loan modification denial claims; courts have increasingly allowed these lawsuits based on a loan servicer’s repeated refusal to properly review a loan modification application. To bring a Chapter 93A claim against a business, a consumer is required to send the business a demand letter and provide them thirty days to make a settlement offer. These consumer protection demand letters are an essential requirement of this law; courts have thrown out Chapter 93A claims for a claimant’s failure to send one of these letters (or to send a letter that makes a proper demand to the business). A consumer does not need to send a demand letter if “if the prospective respondent does not maintain a place of business or does not keep assets within the commonwealth.” The question in Moronta was whether one or both of these two exemptions are needed to avoid sending the demand letter. As the Court explained: “if the defendant keeps assets in the Commonwealth, but does not maintain a place of business here, must the plaintiff serve a demand letter?” The Court answered no: either one of these exceptions (no assets or no place of business in the Commonwealth) is an exception to the consumer protection demand letters under Chaper 93A. How Does Moronta Affect Massachusetts Foreclosure Defense? 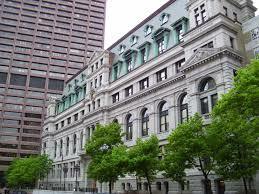 Moronta is of particular importance for Massachusetts foreclosure defense. Because Massachusetts is a non-judicial foreclosure state (where a bank does not need to go to court to do a foreclosure), homeowners often need to go on “the offense” in avoiding foreclosure, through a civil action. The demand letter requirement under Chapter 93A can be a burden for borrowers who have less than thirty days before a scheduled foreclosure to pursue a legal action. Moronta will be a help for homeowners with cases against national banks and loan servicers, many of which do not have offices in Massachusetts, and would trigger the exception to the demand letter requirement. Despite the benefit of Moronta for consumers, I caution consumers (especially homeowners with foreclosure defense claims) from pursuing Chapter 93A claims without the benefit of legal counsel. Chapter 93A may be intended to help consumers, but consumer protection claims are often still too complicated for a non-lawyer to take on. Consult an attorney if you believe you have a viable cause of action. This entry was posted in Massachusetts Foreclosure Law Blog and tagged Chapter 93A, court decisions, Foreclosure law. Bookmark the permalink.